Square Kilometre Array, or SKA. Cape universities are upbeat at the prospect of developing their astronomy and astrophysics departments as a result of South Africa winning the lion’s share of the hotly contested SKA radio telescope. 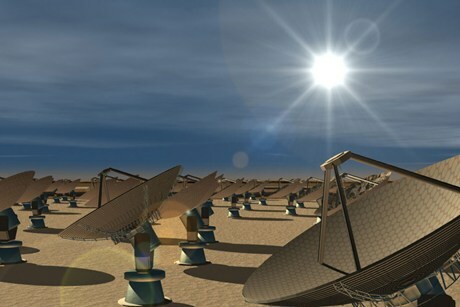 With construction starting in 2016 and full operation expected by 2024, SKA will operate over a wide range of frequencies and its size will make it 50 times more sensitive than any other radio instrument. It will require very high performance central computing engines and long-haul links with a capacity greater than the current global Internet traffic. It will provide the highest resolution images in astronomy, which will be used to test cosmic magnetism, provide extreme tests of general relativity, and investigate fundamental physics and cosmology. Professor Ramesh Bharuthram, Deputy Vice-Chancellor: Academic and Head of the Astronomy Desk at the Department of Science and Technology at the University of the Western Cape (UWC) said the SKA was the “most ambitious radio telescope ever designed to help address some of the big questions in astronomy and astrophysics”. Questions included how the universe originated, how it evolved and what its destiny was, could now be better examined. Tertiary institutions such as UWC and the University of Cape Town (UCT) are expecting an influx of astronomy and astrophysics students and also expect more of their graduates, post graduates and Masters students to remain in the country as opportunities open up for them. Professor Bharuthram said the SKA was an opportunity to “motivate more of our youth into science and mathematics so as to produce future generations of African astronomers and astrophysicists”. Renee Kraan-Kortweg, Head of Astronomy at UCT said she was thrilled to see the number of students passing through her department increase from a handful a couple of years ago to 40-45 students today. She has also observed that the courses UCT offers appeals to black South Africans. 75-80% of their Astronomy majors are black and many of those students are continuing on to Honours and Masters studies. She also believes that the development of the SKA telescope will provide many jobs in construction, digital processing, software development, electrical engineering, and that all of these jobs will be astronomy-related.